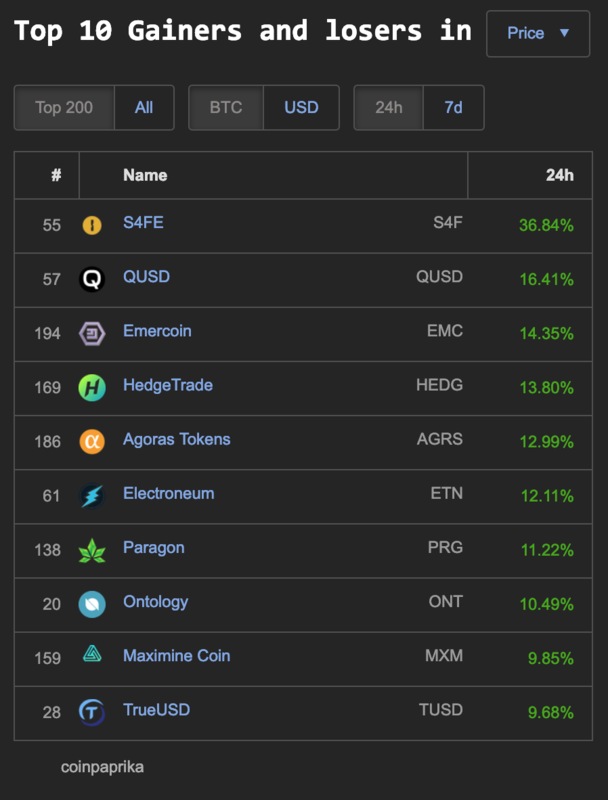 Monday morning blues is starting in the red the vast majority of the cryptocurrency market: Ontology (ONT) 1%, is one of the few green gainers on coin360.io. 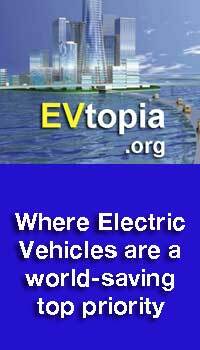 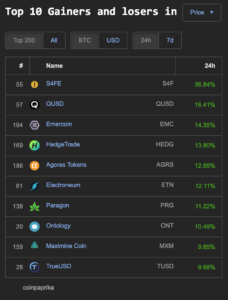 Coinpaprika.com has 8 coins with double digit gains within the top 200 market cap: S4FE (S4F) 36%, QUSD (16%), EMERCOIN (EMC) 14%, HedgeTrade (HEDG) 13%, Agoras Tokens (AGRS) 12%, Electroneum (ETN) 12%, Paragon (PRG) 11% and Ontology (ONT) 10%. 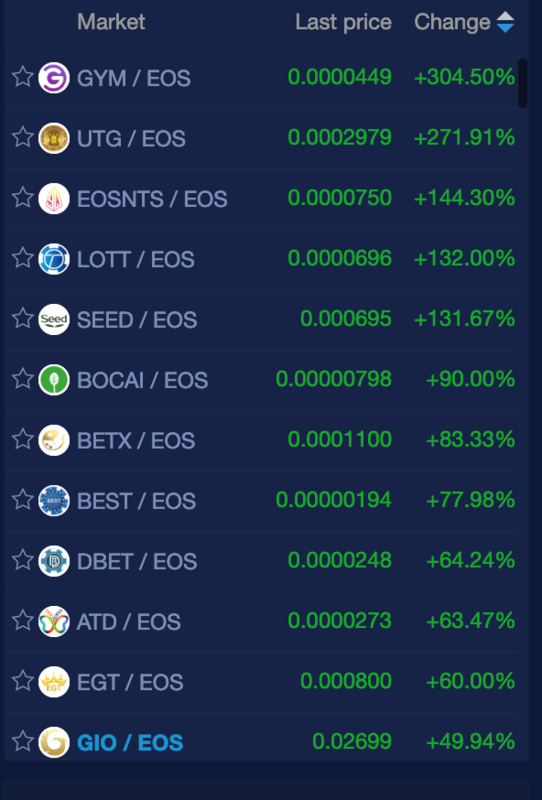 Coinpaprika shows 8 coins gaining double digit percentages today. 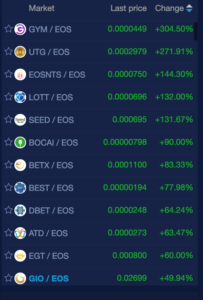 EOS trading market is blowing away the rest of the cryptocurrency market with 5 coins having over 100% percent gains on red day.